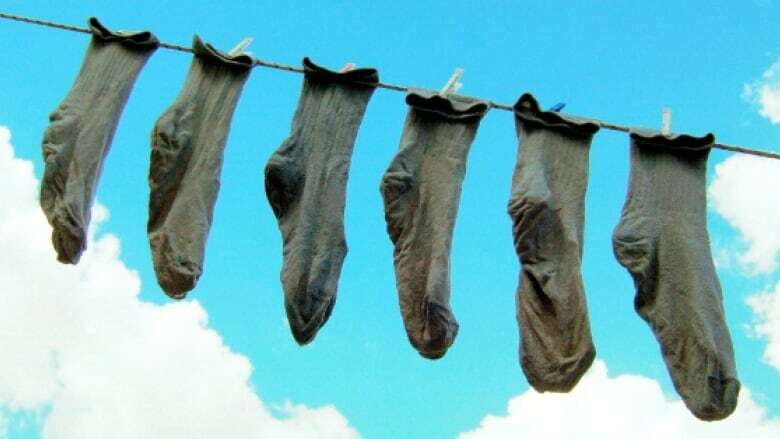 Socks are cheap, disposable, easily replaced — unless you live on the street. As winter approaches, we've decided to re-broadcast Frank Faulk's documentary, "Socks for the Homeless." Take a moment and think about socks. Yours are probably cosy. They're probably dry. And they keep your feet feeling pretty good. Next time your toe pokes through one, you'll probably toss it. And the next time the dryer devours a sock, you'll probably ditch its mate. Socks are cheap, disposable, easily replaced — unless you live on the street. For homeless people, those little pieces of clothing are mittens of comfort. Hard to come by, easily ruined. Never taken for granted. Good as gold. As winter approaches, we've decided to re-broadcast a documentary by Frank Faulk called "Socks for the Homeless" that we first aired a few years back. Since that documentary was broadcast, we heard from several listeners who took up the cause. For example, Wendy Ospina of Toronto told us that her mother, Helen Bennet, knitted 43 pairs of socks for the Salvation Army, after a fall forced her off her feet for several months. 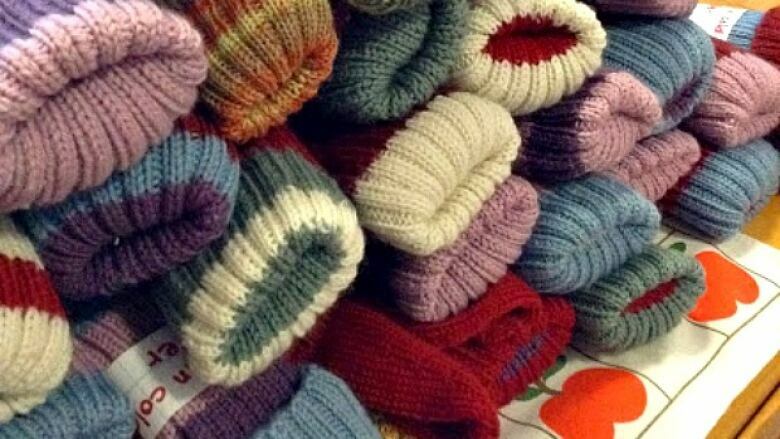 Helen Bennet's hand knit socks for the homeless. (Wendy Ospina)And we recently heard about another imaginative idea. After hearing our documentary, Montreal Chef David Ferguson started a campaign called "Socks for Bubbly." Restaurants take donations of socks for the homeless, in exchange for a free glass of sparkling wine. This year, 5 restaurants in Toronto are also taking part. Click 'listen' above to hear Frank Faulk's documentary.